Little Smiles Philadelphia Charity honored at the 76ers game"
Her passion for photography began many years ago. NAMASTE WISDOM helps Members in Holistic Health, Natural Healing, plus much more. All NEW NAMASTE WISDOM site!! 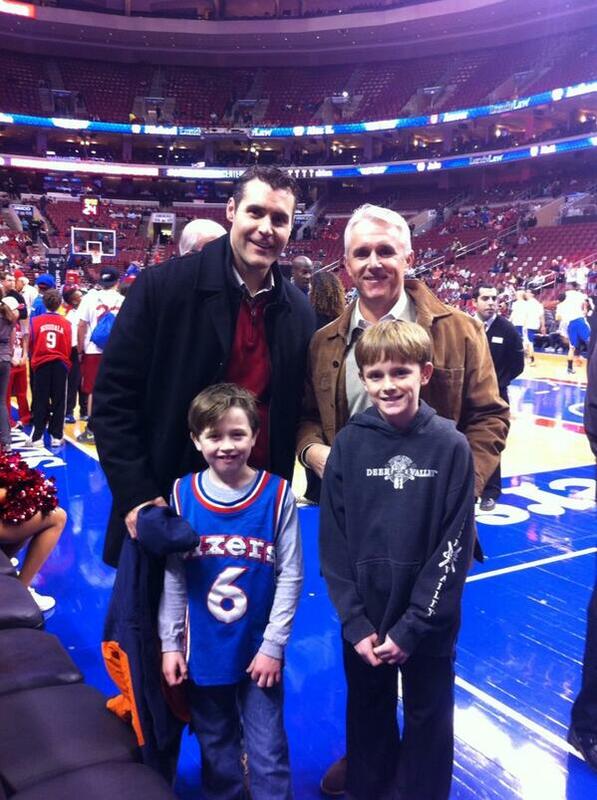 Last night Co-Founders Steve Grandizio & Jeff Mullen were honored as "Heroes Among Us" at the 76ers game. Little Smiles’ mission is to help kids escape the reality of their unfortunate circumstances, even if it’s for a short period of time. Little Smiles' main goal is to put a smile back on their faces. Little Smiles responds to the needs of the children, and provide whatever Little Smiles can to make a child’s day a little brighter. Imagine being a 7 year old child with an illness or an unfortunate circumstance that prevents you from enjoying the simple things in life. Playing outside or going to a friend’s house, these are the things we take for granted. Many of Little Smiles children’s daily routine consists of ongoing medication regimen, needles, various medical treatments, and everyday pain, as well as the inability to be a child due to circumstances beyond their control. Little Smiles is a non-profit 501 (c)(3) volunteer organization that provides toys, games, DVD’s, computers, VIP outings, celebrity meet & greets, concerts, sporting event tickets, theme park tickets, junk food runs, Nerf® gun wars & much much more... for children in local hospitals, hospices and shelters through out South Florida. Visit Namaste Wisdom on Pinterest.